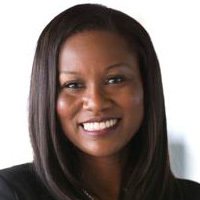 Marsha Morgan was raised in Birmingham, Alabama and is a seasoned electric utility professional with professional experiences in engineering, project management, and compliance. She obtained a degree in Mechanical Engineering from Tennessee State University and a Master of Business Administration from the University of Alabama at Birmingham. Marsha’s passion for her community and engineering is exhibited by her involvement in a number of community and professional organizations. Currently, she serves as the Vice Chair of the Community Investment Network, which is a national network of giving circles. She is also a Founding Member and Immediate Past Chairperson of the Birmingham Change Fund. Her community involvement also includes membership in the National Society of Black Engineers, Tennessee State University Alumni Chapter, the Junior Board of Oasis Counseling Center, Leadership UAB Alumni Council, and Delta Sigma Theta Sorority, Inc. She also serves in advisory roles for the Ramsay High School Engineering Academy and Future Engineers of America.